Police are urgently appealing for witnesses to a crash on the A27 Chichester bypass this morning which has left a cyclist seriously injured. 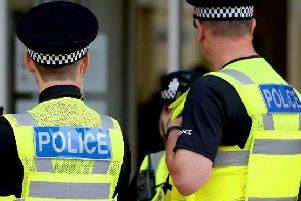 The cyclist was found lying in the road badly injured in the eastbound carriageway near the Stockbridge Roundabout at 7.22am on Thursday, May 10, police said. “His bicycle appeared to have been struck from behind by a vehicle which did not stop,” police said in a statement. The eastbound carriageway remains closed with diversions in place. The incident continues to cause big delays all around the bypass and through the centre of Chichester. Police are advising motorists to avoid the area and are asking for anyone who saw what happened to the cyclist or who may have other information to report details online or by phoning 101, quoting Operation Redstone.